Utah is one of twelve states that has a no-fault insurance system for auto accidents. When you get into a car accident, one of you will be at fault. In traditional fault states, no party would receive any money for either their property damage claim, or their bodily injury claim, until fault was determined. The insurance company of the at-fault driver would pay all of it. In No-fault states, property damage remains a fault issue. Auto accident victims can have their property damage claim handled by their own insurance provider, but their insurance company will eventually be reimbursed by the at-fault party’s insurance company. The difference comes into play for the bodily injury claims in no-fault states. The damages available for those claims fair exceeds property damage claims. When you have a bodily injury claim, you may be entitled to recover general damages such as pain and suffering and loss of enjoyment of life in addition to any wage loss damages. All those amount would be in addition to the total special damages—medical bills. In no fault states. Each party’s own insurance provider pays for the initial medical bills. The victim only has a claim against the at-fault party once a statutory threshold amount has been exceeded by medical bills. In the great state of Utah, that amount is $3,000. That means that if your medical bills do not exceed $3,000, you do not have a personal injury claim and you are precluded from filing suit. In turn, that means that if you are the victim of an auto accident in Utah, you carry the burden of having your own insurance pay for your medical bills until you exceed the PIP amount (Personal Injury Protection.) Once that amount has been exceeded by your own provider, then you have a claim against the at-fault party’s insurance company. Once you settle your case or obtain a judgment, your own insurance provider is reimbursed for the $3,000 they spent on your behalf. This system shifts the burden of carrying proper insurance onto the injured party in the case of minor accidents. It also prevents very minor claims from being able to receive large awards, and more importantly, it keeps the court system from being overrun with frivolous claims. With the system that Utah has in place, if your damages are high enough that they meet threshold, you absolutely should consider finding yourself the best auto accident lawyer available. The logic behind that statement is that if you are the victim of an accident that was not your fault, and you have to waste your time receiving medical treatment worth over a value of $3,000, why should your insurance bear the initial cost and you personally bear all the rest? What kind of world would that be? A very unfair one. A world where there is no accountability and no one pays for their actions or helps their neighbor. Liability laws place the cost of the harm on the party who does not exercise reasonable care under the circumstances. That is exactly where liability should be placed. A good injury attorney can explain this process to you in a way that will make sense and can help get you any compensation that you may deserve. 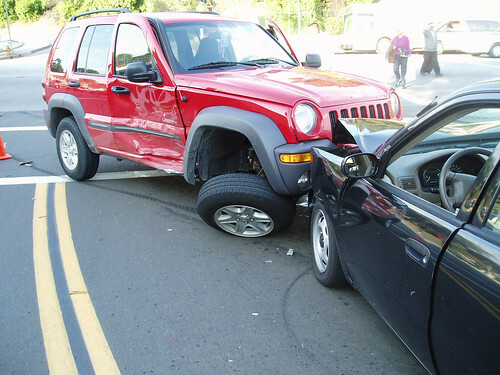 Car Accidents – Determining Who Is at Fault Was the Car Accident Your Fault?